Irvine, CA. October 30, 2012. Many advancements have been made in medical grade computers over the last decade, resulting in better performance and more choices. Cybernet Manufacturing has been at the forefront of these advancements, designing powerful medical grade all-in-one PCs uniquely suited to not only the special constraints of a 24/7 medical environment, but also the needs of the people who use them. The latest Cybernet all-in-one medical PC is the ultimate in medical computing and ease of use: the CyberMed H22. 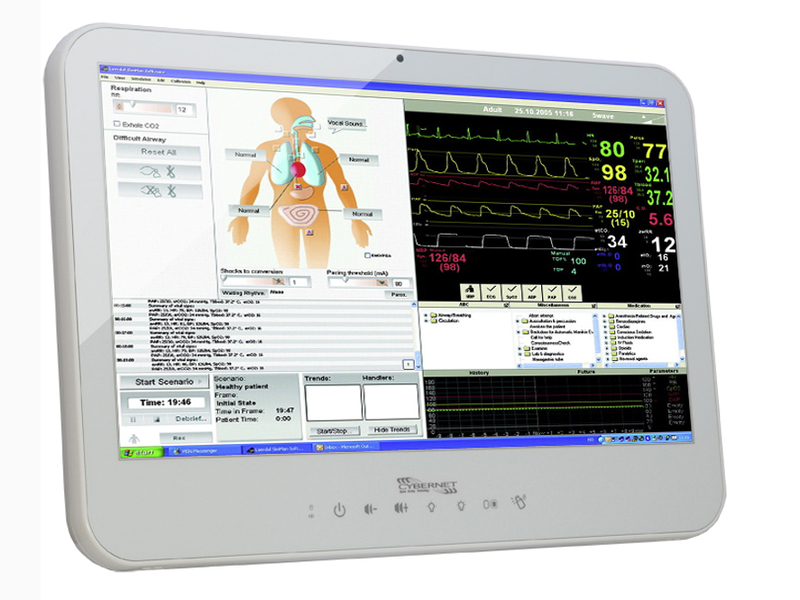 Its unique combination of Intel i-series processors, a 22-inch waterproof touch screen, and advanced medical grade design represents the best in today’s medical computers. Cybernet has developed a full line of medical all-in-one PCs over the last few years, and has worked with their customers to study the requirements and features that today’s medical facilities need to keep up with the changes in their industry and make them more efficient at providing round-the-clock care. Cybernet understands the performance and power it takes for Electronic Medical Records (EMR) computing, and uses leading-edge Intel processors. They integrate touch screen technology to enable medical staff to quickly and efficiently enter data. Cybernet’s PCs are medical grade, with an antimicrobial coating to maintain infection control, and meeting EN60601-1 certification standards. The medical-grade CyberMed H22 has EN60601-1 and UL60601-1 certifications, and has an antimicrobial coating to help maintain sterile environments. It can be used on a medical cart or mounted on a wall and accommodates standard VESA mounting brackets. To learn more or request a quote, visit the CyberMed H22 webpage.